I learned that some of my habits I started as a child if I would have continued would have helped me achieve a lot more as an adult. thank you for your book and then knowledgement of writing is a good source for cheering the things you need to achieve in life. I need to stop making excuses about my weakness and writing because even though I have a weakness I used to write all the time and I need to start back for a better and healthier life. thank you and I look forward to reading more your books. Nice advice but the book is very much focused on utilizing Christianity and conservative ideals (ex: marriage) to find success. This approach is just a little too narrow for my taste. While I believe in God, I would put this book more into the category of spirituality than self-help/success. I would’ve preferred a book that focused more on tactics to be successful in business. Also, there are listeners coming from different backgrounds (Christianity, Judaism, Agnosticism, etc) so all of the focus on bible verses seems to exclude other beliefs. I love this book. I lead a book club and we discussed one chapter a week. I received so many happy emails about how the material in the book has helped them. I read a lot of these types of books but this is one of the best. It's reasonable, sensible AND, best of all, EFFECTIVE. 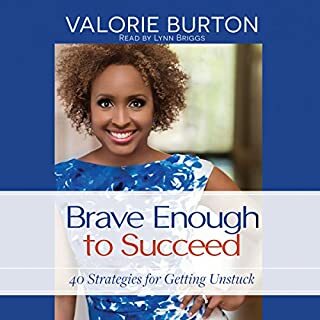 The only thing that would make it better for me to recommend this book to others is if she left out the Bible references. Thankfully, she is not heavy-handed with them. If a reader does not share her faith, I think that he/she can still get SO MUCH out of her writing. I love that she has space in the pages for writing down answers to the questions that she poses. I love the lists of discussion questions at the end of each chapter. She asks great questions for the reader to think about and explore. 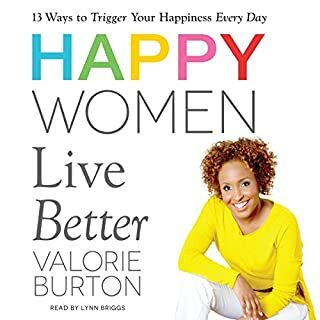 She has great stories and suggestions/advice/action steps for growing into a journey of overall well-being, health, happiness and resilience. This book is not meant to be read or listened to only once. 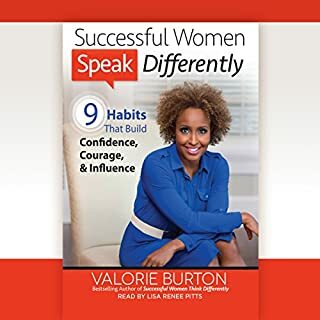 From providing scripture to back up what is being taught to having sound insight and teaching, this book is an A+ read for women of all ages who desire to become more and work towards walking in their God given purpose! 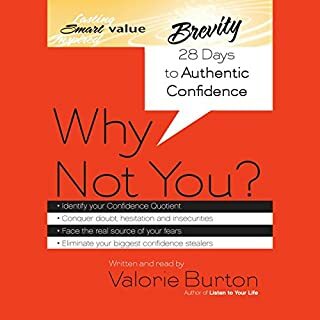 When I feel down Valorie's books never fail to put wind back in my sails. I always feel empowered and full of hope. Only way the audio book could have been better is if she read it herself. Great book! Great advice for great living - authentic and genuine living. 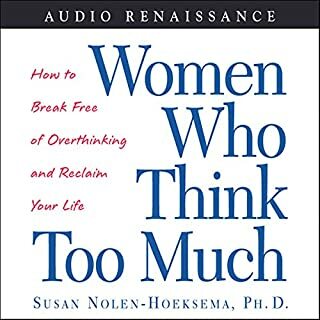 You will want tell other women to read / listen to this book. Moves you to think differently more proactively more positively. Loved it. I recommend it. Thank you Valerie! 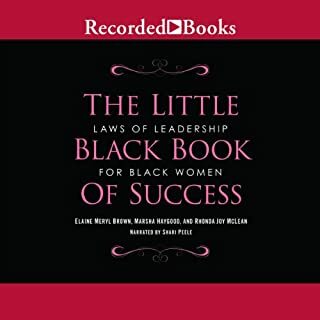 I enjoyed listening to this book over and over !!! 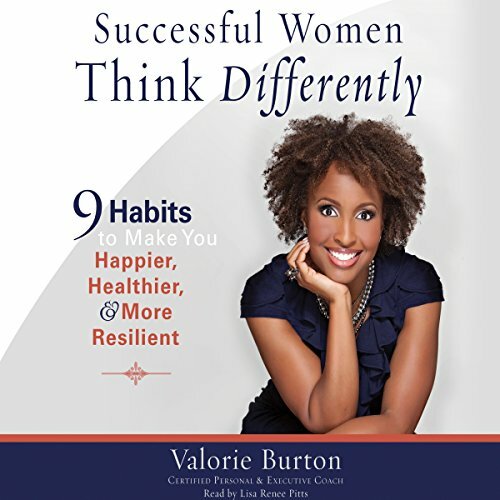 I enjoyed listening to this audio book and look forward to using some of the practical applications learned.